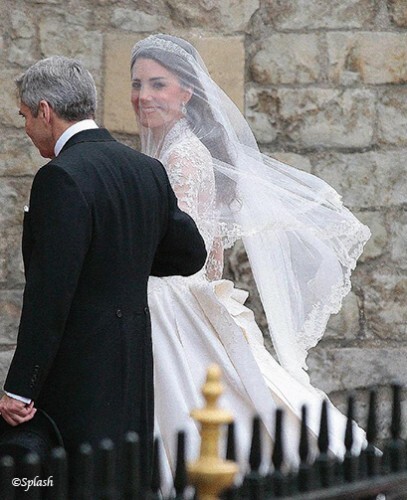 Made of silk tulle, Kate's bridal veil was shorter than many expected, but complemented her detailed train perfectly. The veil was trimmed with hand embroidered flowers, and moved gracefully in the April breeze. See the entry on Kate's bridal gown for more details on the lace.